BosworthÂ® adds the speed, variety and unpredictability of battle to the game of chess. In fact, this international favorite has been called the most enjoyable chess variant ever! 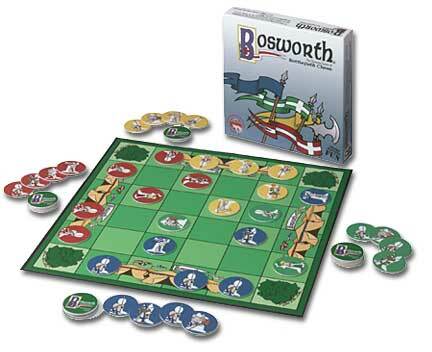 Each player in BosworthÂ® controls a small kingdom represented by the 16 pieces of a chess set. The way these game pieces are introduced, the innovative board design, and the 3 and 4 player options create this dynamic game of battlefield chess. To win, you will need a combination of skill, timing, luck... and maybe just a little help from your friends!